Researchers from the University of Guelph are looking at how selenium-enriched diets for cows could lead to milk with the ability to slow the growth of cancerous tumours. The old joke is that brown cows make chocolate milk. They do not, of course. Instead, dairy cows could make something even better: cancer-fighting milk. Professor John Cant from the University of Guelph’s Animal Biosciences department, and a team of graduate students, are researching how selenium-enriched diets for cows could lead to milk with the ability to slow the growth of cancerous tumours. Cant’s investigation of selenium started as a study to determine selenium’s effects on dairy cow productivity. Because soils can be deficient in selenium, and therefore grow selenium-deficient plants, it is often added as a supplement to cows’ regular diets. 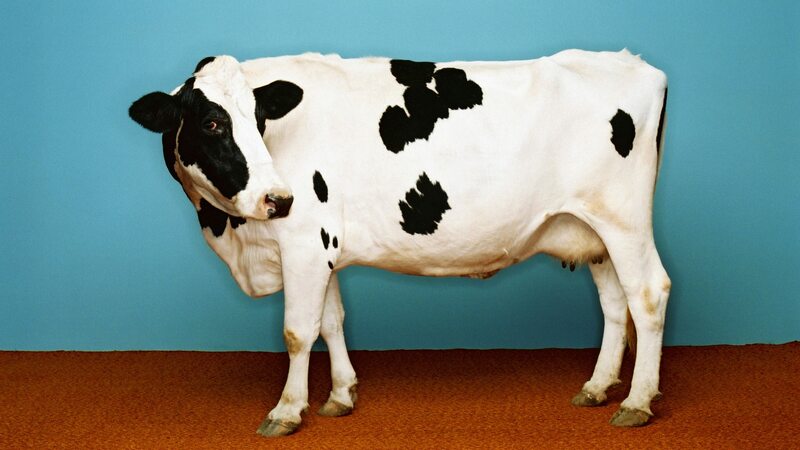 Mammary cells from dairy cows showed greater survivability with increased selenium in Cant’s research, so his team — Scott Cieslar, Jenny Warrington and Priska Stahel — started looking at the milk being produced. The team tested milk with different levels of selenium on mice that had been given human cancer. The University of Guelph has a history of creating innovative functional foods to improve health. Professor Brian McBride and graduate student Tom Wright partnered with Neilson to develop milk enriched with docosahexaenoic acid (DHA), omega-3 polyunsaturated fatty acid. DHA assists in brain development and health, with fish usually the primary source of DHA in human diets. McBride and Wright enriched the milk by incorporating DHA into the cattle feed, similar to Cant’s process with selenium. Neilson Dairy Oh! Milk hit supermarket shelves in 2004. Omega-3 enriched eggs were also a University of Guelph innovation, by Professor Steve Leeson in 1996. By incorporating flaxseed into hen diets, the eggs were enriched with Omega-3s, which reduced cholesterol. Unfortunately, Cant’s team also discovered that while the rodent trials showed a decrease in cancer from the selenium-enriched milk, they also showed an increased risk of Type 2 diabetes. “Blood glucose levels were higher,” Cant says. So, his team turned their attention to studying the effect of selenium on Type 2 diabetes. On the positive side, they found that if insulin-resistance already existed, the enriched milk did not make that problem any worse. Indeed, certain components in milk, like fatty acids and proteins, are anti-diabetic. The research team will now focus on what else in milk can counteract the negative attributes of the selenium-enriched milk.